Woodside Retreat — PARADIGM Structural Engineers, Inc. 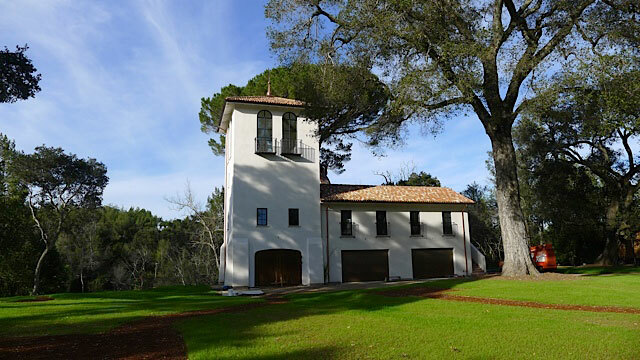 This Woodside Retreat includes a demolition of a historic main house and retention and re-purpose of the water tower and existing spaces above the garage. PARADIGM was selected to provide structural design for the existing water tower. This included a new wood framed structure replicating the original water tower structure. This new structure consists of “stacked” walls and floor framing such that usable space would be provided for the caretaker’s residence. PARADIGM is periodically requested to provide additional structural design services, including most recently for the foundation support for the outdoor water feature, which consists of a 40-foot water feature with custom cut section of stone.